R.I.P. 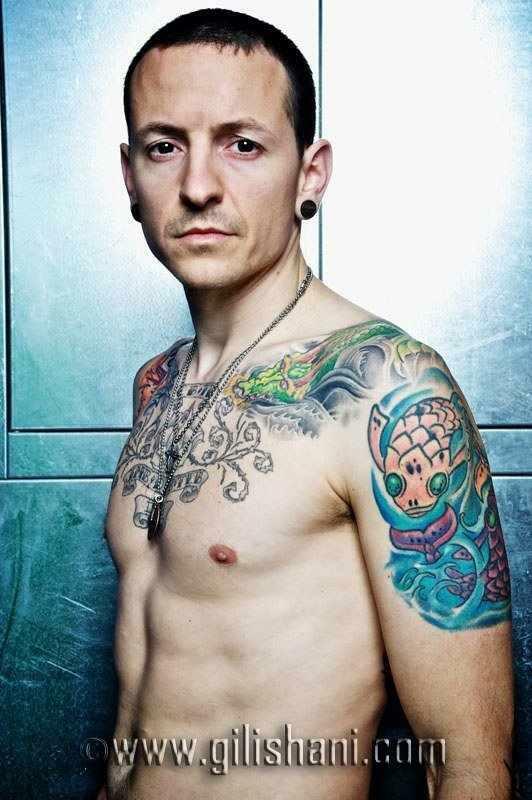 Chester You will be Missed Extremely creative Chester Bennington,He is the Lead Vocalist of the Famous Rock band LINKIN PARK.He is american Musician ,singer ,song-writer,.he is the lead of LINKIN PARK .His voice is too famous for their fan in all around the world. 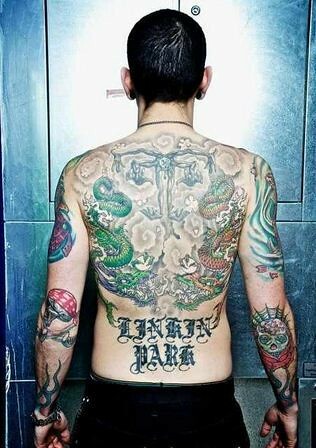 Chester having many tattoos on his body .the colour ful arm belongs to the linkin park ‘a chester .he having many tattoos ,including the name of his band “Linkin Park” across his lower back in large old English letters and along with two huge dragons and a four-armed creature in the center of his back.chester having tattoos on his left arm include, a large koi fish, long blue flames around his wrist and forearm, and butterflies on his elbow area.he having on his right arm includes, a ring of blue flames around his wrist identical to the one on his left wrist, skull with diamond eyes and a spider web on his elbow, plus another koi fish along with flower peddles and other vegetation on his upper arm.he having a large rose in the center of his chest with three banners and the initials “CB TB” “JMB DSB TLB” “IB” which represents the honor of his close family members. 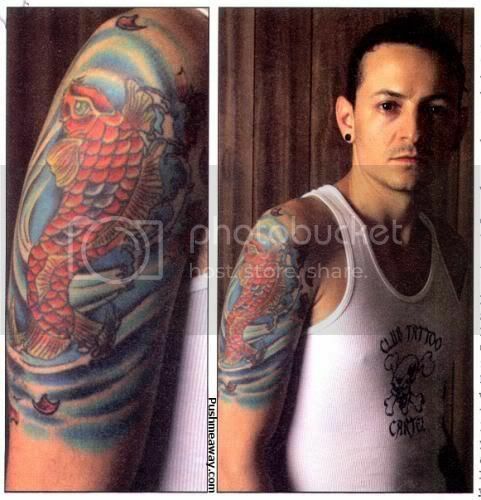 Flames on wrist of chester KOi Fish tattoo on his right arm Another fish tattoo on his left arm Dragons on chest of chester with large rose in the center of his chest with three banners and the initials “CB TB” “JMB DSB TLB” “IB” Back of chester The band have always been very active in humanitarian efforts, their latest being the grassroots campaign ‘Music for Relief’ raising money and awareness for causes like the 2011 earthquake and tsunami in Japan, the earthquake in Haiti in 2010 and aiding victims affected by many natural disasters throughout the world. Bennington and his Linkin Park bandmates are reportedly working on their fifth studio album right now, but not much has been leaked about it. 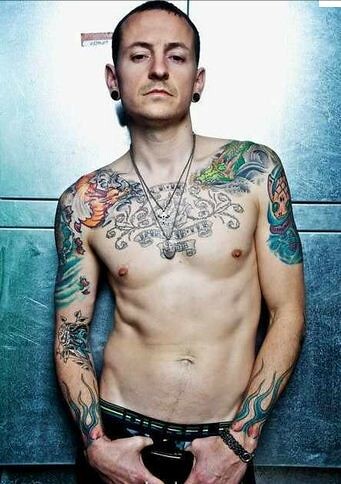 chester bennington,chester bennington tattoos,linkin park chester bennington tattoos,tattooos.